Ni No Kuni 2 is gorgeous, charming and constantly evolving. Its combat is layered and exciting, and polished by a medley of systems that let you finely tailor your play style. Its globetrotting coming-of-age story is a bit saccharine, but it's told well, and packs an ending that still occupies my thoughts. But its crowning achievement is tying all that and more into an involved and deeply satisfying kingdom building sim, one that enhances every other part of the game. Its gorgeous worlds and lovable characters make for an enjoyable and engaging experience from start to finish, and its story, while not the most original or expansive, will undoubtedly warm your heart and leave you wanting more. Whether it’s quite as good as the first, I’m not quite sure, but Ni no Kuni 2 has left a lasting impression on me that will keep me going back long after I've finished the main story. Ni No Kuni 2 is a robust game that offers ample ways to spend your time, and even if they aren't all up to the same level of quality, it's easy to appreciate how they collectively contribute to the bigger picture. It's chock full of excellent battles and surprising moments that make for a far more memorable experience than you initially expect and leaves you impressed by your own accomplishments. If you didn't play the first game, don't let this one pass you by too. Ni no Kuni 2 aims for a lot of different targets: world-spanning story, management sim, recruitment game and solid combat experience. Against all odds, it manages to hit them all in a way that very few games in its genre can manage. There’s no part of the game that feels more or less important, and there were no moments in the game where I thought I was slogging through exposition or kingdom management to pad hours in my playthrough. Despite getting the chance to play some early versions of the game, it's almost impossible to appreciate just how well all of the above fits together until you're a few hours in and swept away in the fairytale of it all. By then you're already doomed to keep playing and playing, genuinely concerned about the behavior of a weasel (could be a stoat, don't @ me biologists) and worrying about finding enough thread to lure that seamstress to Evermore. 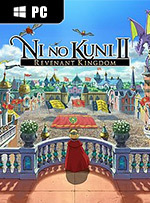 I hate to say it, but there's just something magical about Ni no Kuni 2: Revenant Kingdom. A Japanese role-player that everyone can enjoy, and which mixes old school influences and some interesting innovations to charming effect. Ni No Kuni II: Revenant Kingdom may be vastly different, but it’s ruddy marvellous! Its many systems sure are intimidating at first, but things click into place very quickly, and there’s a lot to do in this gorgeous and well-crafted game. They say that it’s difficult to recapture the magic, but this is one more Level-5 game that has become essential. They may have moved on from Studio Ghibli’s tutelage, but the lessons learned have resulted in a phenomenally good JRPG. 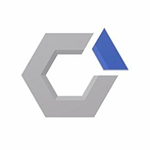 El renacer de un reino no es un juego de 10 por comparación, pero sigue siendo sobresaliente. 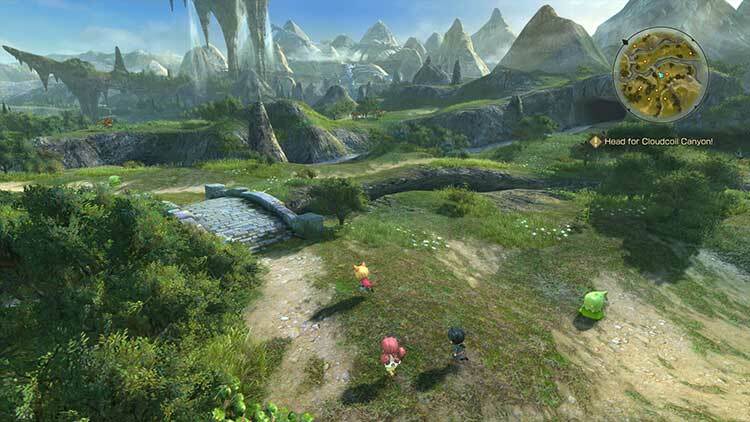 Un JRPG imprescindible que subraya el hecho de que el género aún tiene capacidad para crecer y evolucionar. Y si su buena acogida tanto crítica como comercial inspira una tercera parte, aquí la esperaremos con los brazos abiertos. No por nada, las terceras entregas siempre son las de la experiencia y la conciliación. 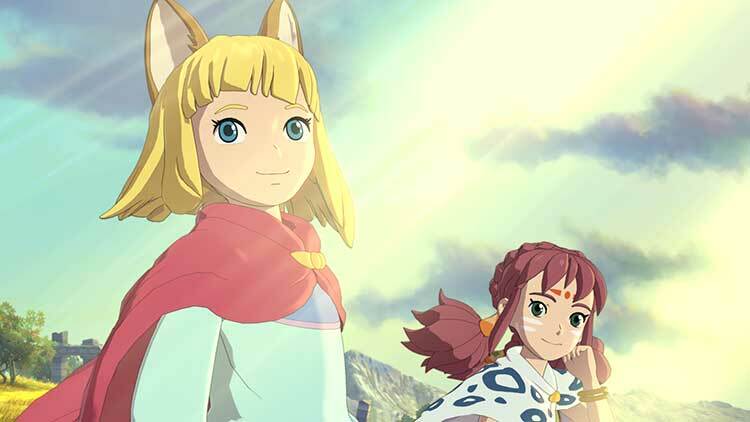 En definitiva, Ni no Kuni II: El Renacer de un Reino es lo que se puede pedir a una secuela: mantener los puntos fuertes y pulir aquello mejorable. En el fondo tiene una base muy clásica y eso no gustará a los aficionados que busquen algo más arriesgado, pero hay que recordar que pocas editoras como Bandai Namco tienen una variedad en el género comparable, que va desde The Witcher a Tales of, pasando por Dark Souls y los Sword Art Online. Die taktischen Schlachtfeldeinsätze, in denen man ein rotierbares Miniheer dirigiert, sind fast schon ein Spiel für sich. Und den Regierungsmodus, wo man Schritt für Schritt sein eigenes Königreich errichtet, will man teils gar nicht mehr verlassen. Mich haben Level-5 und Bandai Namco jedenfalls mehr als 60 Stunden lang sehr gut unterhalten und ich würde jederzeit wieder nach Katzbuckel zurückkehren. Vor allem nimmt mich die Welt gefangen. Dabei ist das bunte Treiben kein sinnbefreiter Zirkus, sondern ist die Kulisse für eine Geschichte mit Tiefgang. Was zwischen den Zeilen über Krieg, Gier und dem Streben nach Macht erzählt wird, bereichert das Gesamtbild, ohne sich aufzuzwingen. Wen das alles nicht interessiert, der bekommt ein empfehlenswertes JRPG, bei dem es schwer fällt, den Controller beiseite zu legen. Der Mut der Entwickler, diese Fortsetzung grundlegend umzukrempeln zahlt sich aus. Encore une fois, Level-5 démontre tout son savoir faire avec Ni No Kuni II : L’avènement d’un Nouveau Royaume. Malgré l’absence du Studio Ghibli, la direction artistique du titre est tout simplement sublime, même si l’on pourra reprocher aux développeurs certains choix douteux comme le mode "Voyage" et sa world map complètement moche. 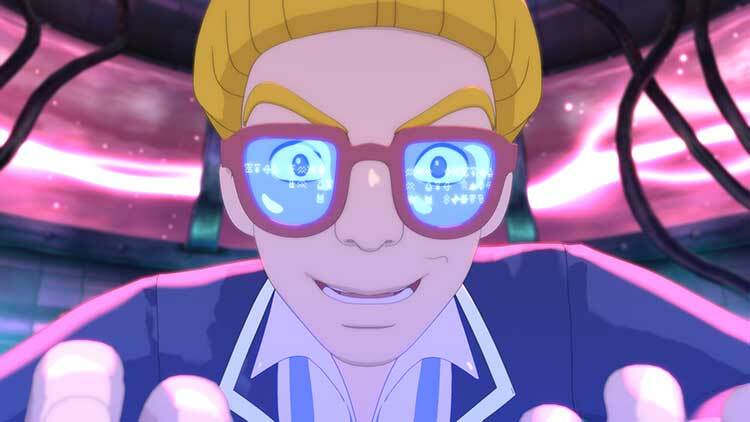 Le scénario, parfois simpliste, nous transporte instantanément dans le monde du jeu et on ne peut que tomber sous le charme de chaque personnage. 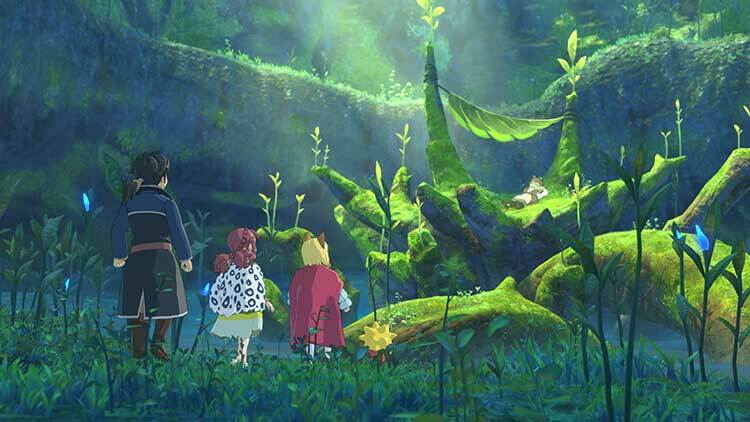 Com um design artístico maravilhoso, desde personagens a ambientes, e um enredo altamente inclinado para uma comédia-dramática, Ni No Kuni II: Revenant Kingdom deixa a sua marca nesta geração, afirmando-se como um dos melhores JRPGs disponíveis no mercado, com dezenas de horas de conteúdo e uma experiência adorável que fará com que os fãs do género fiquem ansiosos pelo terceira da franquia. A Ni No Kuni II mancavano davvero pochissimi elementi per compiere un salto nell'Olimpo: il lavoro compiuto da Level 5 ci regala sicuramente il miglior action jRPG degli ultimi anni, ma sarebbe stato certamente interessante avere qualche cura in più nelle cut scenes, praticamente non realizzate, e in qualche sub quests più affascinante di quelle un po' fetch e che non riescono ad andare oltre al reclutare i vari cittadini. Ni no Kuni II: Revenant Kingdom, скорее всего, не станет «игрой года», но получить статус главной jRPG она вполне способна. В ней есть всё: и мощный сюжет, и масса игровых механик, и запоминающийся визуальный стиль. И, самое главное — все элементы в ней сочетаются настолько гармонично, насколько это возможно. 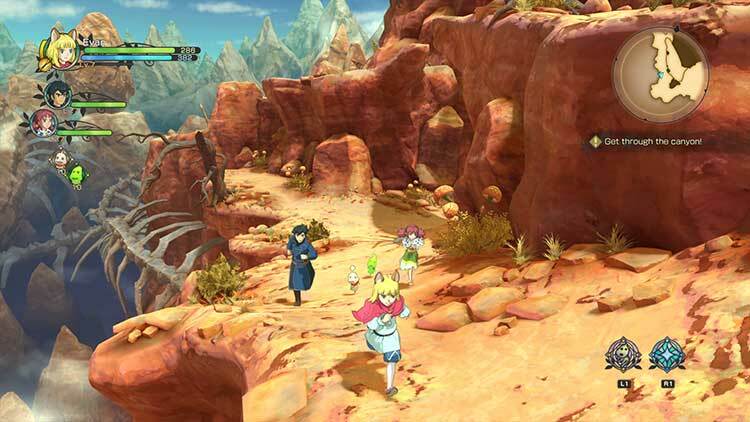 Sonuç olarak Ni No Kuni: Revenant Kingdom, tıpkı ilk oyunda olduğu gibi her JRPG severin oynaması gereken bir oyun. Tabi bu türü sevmiyorsanız oyun sizin için fazlasıyla yavan gelebilir. Ama yavaş yavaş evrilmeye başlayan ve bu konuda eleştiriler alan bu türün, son dönemdeki en yegane ve başarılı örneklerinden birisi olduğunu da gönül rahatlığı ile söyleyebilirim. Ni no Kuni II to doskonała gra gatunku jRPG, która zachwyci zarówno fanów poprzedniej części, jak i nowych graczy niezaznajomionych z serią. Produkcja do zaoferowania ma baśniową oprawę audiowizualną, która przypadnie do gustu szczególnie osobom zaznajomionym z filmografią studia Ghibli, niepozwalające się znudzić trzy płaszczyzny rozgrywki oraz ogrom dodatkowych zadań i bossów. I chociaż fabuła może niektórym wydać się zbyt infantylna, to dalej jest to naprawdę świetna produkcja.